Fall asleep instantly and sleep well with hypnosis and meditation. A lack of quality sleep can hinder your alertness and quality of life while awake, as anyone with sleeping issues already knows. Suffering through sleepless nights does not have to be your reality. Instead you can fall asleep fast and get quality sleep tonight and every night. Hypnosis has been used for centuries to cure many ailments, including the inability to get better sleep. You can help yourself improve the quality of your life with hypnotherapy. Would you like to improve your relationships and learn how to recognize the triggers behind your emotions? Would you like to learn how to manage your reaction to those emotions? Do you think it's time you start developing leadership skills? Then, this is an audiobook for you! 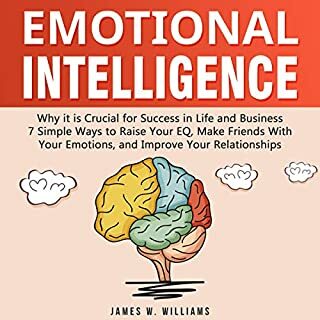 Emotional Intelligence: Why it is Crucial for Success in Life and Business - 7 Simple Ways to Raise Your EQ, Make Friends with Your Emotions, and Improve Your Relationships explains how seven simple, daily practices can change the way you relate to others. Are you a slave to your personal possessions? Want to finally break the bad habit of collecting things and spending money? Or maybe you just want to live a more meaningful simpler life, but your still worried about what others might think? Neuroscientists at Princeton University discovered that those who perform tasks in a more organized environment over a disorganized one perform at a much higher level while also reducing stress. 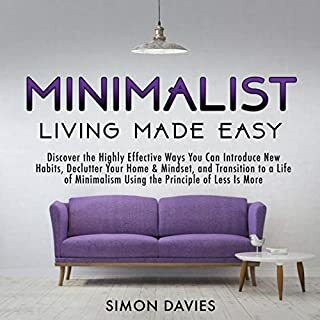 If you’re looking to start your minimalist journey but don't know where to start, give this easy-to-follow step-by-step guide a try! In Swing Trading, we will show you how to get started in trading with an emphasis on maximizing your profits while safely managing your funds and stock portfolio. You may have already tried other books, articles, or guides and perhaps, found them to be confusing. This audiobook can help a beginner because they are its target audience. 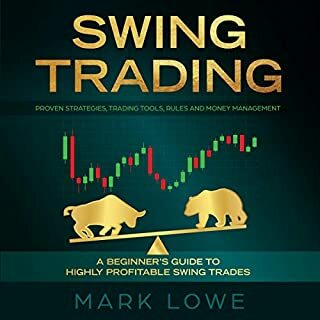 It provides straightforward yet profound information with clear explanations of how techniques and methods work in swing trading - with the beginner in mind. If you’re serious about swing trading listen to this audiobook today. Let me tell you something. Science has proven that 80 percent of our thoughts are negative; on top of that, 90 percent of people have "bizarre" thoughts about contamination, harm, religious impropriety, losing control, and sexual perversion. It is normal to think alarming or negative thoughts, but you have to know how to deal with those thoughts in the right way to prevent and treat mental health issues. Always keep in mind, your thoughts are not your reality. Yet there is a key to handle those thoughts in the right way to make sure you can live a life without fears and self-sabotage. Are you looking for a simple way to improve your memory without spending tons of money? Do you often feel stressed or overwhelmed with loads of information you need to learn? In our fast-paced world, not only is educational innovation present and available, but we also have a population that is demanding more. Every new invention we learn is just a stepping-stone toward a greater innovation. This audiobook is the advanced edition that you have been building up to as you went through the exercises in the last two audiobooks. This third issue of the book is even more comprehensive than the previous editions but equally educative and illuminating. Did you know you can lose weight when you eat fat instead of carbs? If that sounds crazy, then you probably have not heard about the Ketogenic Diet yet. This might sound like another fad, but the truth is this diet is over 80 years old and is proven to be highly effective! In this audiobook, you will learn the basic rules of the Ketogenic Diet, find answers to commonly asked questions about it, and most importantly, gain access to 7-day meal plans and fifty easy, delicious, and nutritious Keto-friendly recipes. Top 60 Delicious and Easy to Make Keto Recipes You Should Know! This audiobook has actionable information about the keto diet, including 60 delicious, easy-to-make recipes that you can prepare to get started. Nowadays, most of the foods we eat are rather processed, genetically modified, or junk foods. These are foods high in calories, saturated sugars and fats, and are low in fiber, which is essential for proper digestion. What many of us don’t want to accept is that these foods are to blame for many of the world’s health problems such as obesity, diabetes, heart disease, and other lifestyle problems. Intermittent fasting, or IF, is a kind of eating technique that brings about a lot of health benefits to a person’s overall health. Apart from the advantage of weight loss, this also paves the way to a healthier and stronger version of yourself. By learning how to apply the teachings Zen in your life, you will be able to enjoy a multitude of benefits including reduced stress, stronger relationships, a decluttered mind and home, more savings, a more open and understanding outlook, a more enjoyable work life and stable career, peace of mind, and better health. 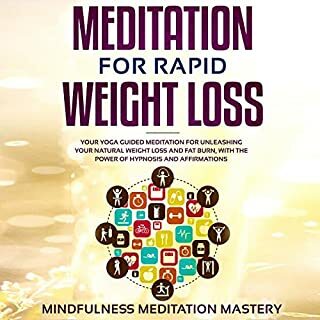 Hopefully, this audiobook will teach you how to improve your life by incorporating a Zen-oriented mentality into your day-to-day activities and thoughts. Do you feel stressed, mentally exhausted, or not in harmony with your body? One of the ancient forms of exercise that help to relax the body, mind, and the soul is yoga. Yoga has been around for hundreds of years, and it is quite beneficial. You can improve your physical health as well as your overall mental and emotional well-being with Yoga. 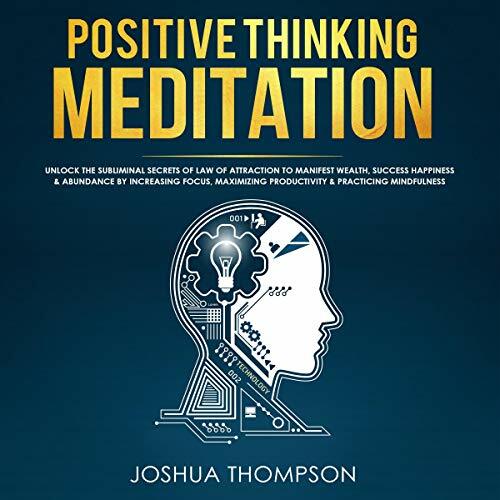 In this audiobook, Positive Thinking Meditation, you will discover the strategies on how your mind can change into a positive, peaceful state. You will know the specific steps on how to make yourself happy, fulfilled, optimistic, calm, and peaceful every day. The secret to success in life lies in harnessing the power of the mind. If you are fully aware of that but find it hard to use your mind’s unlimited power to unleash your full potential, this audiobook will help you to achieve just that. 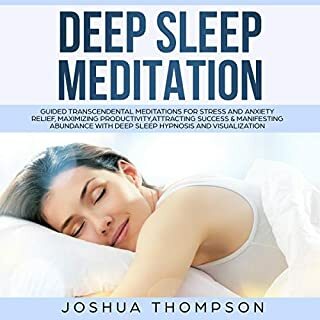 This guided mediation system gives you positive suggestions that will help you quiet your mind and melt away stress, leaving your body deeply relaxed for a great night's sleep. While you're sleeping, the program will help remove self-doubt and negative thinking and help you create a positive belief system so you will love, cherish, and empower yourself. By focusing on results, taking action, creating consistent positive habits, and keeping your affirmations fresh, you can create the life of which you've always dreamed! Awaken your most ideal self and allow yourself to gravitate toward that person until you become them. Allow the law of attraction to enhance your well-being and increase your happiness. Download to get this wisdom from this guided meditation audiobook! This book provided more insight into positive thinking... it spreads positive ideas and it's easier to understand. It is so full of useful information. I am always trying to grow and better myself and this book definitely helped me with that goal. I felt energized, supported, hopeful, and excited as I listen through each page because the author has so many positive tips and tools on becoming a more successful and giving person. The author done a great job. Without being a positive person you can not be happy in life. so, "Think positive, be positive". Very valuable information in this book, just change your way of thinking and your life can change!! We tend to think that positive thinking is good and negative thinking bad. The author suggests that we blame ourselves when something goes wrong, and this may lead to habitual negative thinking. If one is aware of this tendency, they can avert it. Thinking positive, it is argued, will result in better results and greater personal happiness. Probably true. The book offers “steps and strategies” to think positively, express gratitude for life, appreciate yourself, and be a happier based on seven aspects of positive thinking, and offers to-do lists to master each aspect with physical actions, emotional framing, self-assessment, reacting to events, and empowering thoughts. The seven aspects are to embrace positive thinking, appreciate yourself, see the positive in every situation, positive affirmations, believe in yourself, worry less, and express gratitude. The author elaborates each aspect in terms of substeps. For example, embrace positive thinking shreds out in these substeps: change of mindset, acknowledge good things in your life and yourself, find something good each day, be happy, find the silver lining, possibilities, take a positive perspective. Thanks a lot! This book is a good source to for positive thinking. It teaches how to start a new life and how positive thinking can transfer life to better. Advantages of positive thinking are obvious. The book lists them. On the contrary author considers negative thinking, its characteristics and negative sides, and how to overcome a vicious circle to think negatively. Training techniques to cultivate positive thinking are especially useful and are meant to develop characteristics of the positive man. An excellent and motivating read to make serious changes in your life. This book was exactly what you need to break the negative thinking that eats you whole and make your life a mess. The realistic advice is very realistic that you can apply everyday Good motivational book! This book will help you to understand and be more positive in life. Having a positive outlook in life can reflect and benefit your health, your mind, and soul that will lead you to mindfulness, stress free life and contentment. Reading this book will enlighten you to have a clear, good positive life in the future. Worth to share book. So, I love this book. I highly recommended for anyone who are looking this type guide. It is very hard to be positive when we are surrounded by negativity very frequently. However, to not only be happy, but to aid your journey to success, you need to be positive and optimistic. The author does a great job of providing techniques and tips to stay positive and happy in times of stress. Definitely worth the listen. This book is one of my faves. I am so happy that I bought it again. I had lost my first copy many years back. When I opened it up it felt like an old friend. I was astonished at how new it was. Like getting it right off the shelf. I highly recommend this seller and this product to anyone wanting to refreshing change from the constant bombardment of junk that we are hit with every day in life. Well written and easy to understand!! When I started listening this book, I was surprised and inspired by the quotes expressed inside of it. I then went to take a look at the author. I expected to see an elderly person who had a lifetime of experiences that enabled her to share what he had learned. How is it possible? How could this beautiful young man have acquired such quotes beyond her years? I'm not sure how it happened, but you really must listen this book. Over all this is very helpful guide for all. This was an easy listen! EVERYONE should listen this book! It has given me a new outlook on life and i just ordered a copy of it for my mother and my attitude has changed and i am filled will love rather than hurt, defense , offense and criticism and this book has taught me to look at others and life through a different set of eyes and a new attitude and this is not just a book about "thinking positively," which might seem disingenuous to people in real jams with real feelings and it's also about how to change those interior feelings, so that the positive thinking and positive feelings begin to go hand-in-hand. Twenty years ago a friend recommended this book to me. I dislike the title because I identified it with "wishful thinking." In retrospect, I'd have benefited greatly at that time from this book.However, if you don't believe in God, it's not for you and it's a nice reminder of the Lord's power and how it can be used to create positive changes in your life and he uses anecdotes from regular people to show how dramatic the changes he promises can be and the changes aren't impossible, and they've already affected my life and how I view the world. This was a comprehensive and insightful listen. I picked this book for the purpose of learning more about positive thinking methods & techniques. This guidebook didn’t disappoint me, rather I have learned so many essential things from this short listen. Inside here the author described various helpful things about positive thoughts, positive talks, self-improvement procedures, guides & tips. This book helped me to understand about how to appreciate myself & keep strong believe over myself as well. If you want to learn & know about how to build up positive affirmations & positive energy, then don’t hesitate to grab & read this guidebook. Honest recommendation! Whenever I listen to this audiobook, I wonder why I don't listen to it every day. I wonder if I thought like this every day, how my mood would drastically improve and I'd have a different perspective, a better outlook. Definitely helped with calming the mind and sleeping. My mind easily calmed and was just lulled to sleep. So I'm going to try to listen more often. Very much enjoying it. Inspirational for those who want to Change!! The information is solid foundation for listeners of the book to change their mindset and live a more successful and positive life.A good self help guidebook. If you want to start a happier and better life then you should practice of positive thinking and come out from negativity. In this book, you will find all the valuable info that you need to positive thinking! The book provides an approach to achieving success in one's life offers workable, step-by-step methods and positive visualization techniques. Teaches you to stay and think positive throughout life struggles. It was an nice and easy to understand. I enjoyed it. Extremely good book, I cannot describe how life-changing this book is and how it explains certain things. 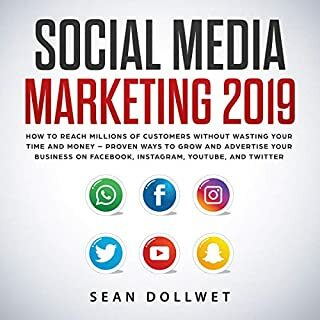 I have to see most of the things in this book are common sense but I believe it’s the common sense in life that you have to practice on a daily basis that separates the winners and a successful people from the opposite. I am extremely recommend this book to everyone. This book is just a must have. When I started reading it, I could instantly feel the magic surrounding it. It just gives you such an amazing feeling, it improves your mood instantly. Throughout the chapter, I actually got to know why everything in my life was going so terribly wrong. As soon as I started practicing the principles in my daily life, I totally felt the change. My world changed a lot after reading this and practicing upon it. It resonated with me and I could relate to everything that was mentioned and explained. Be open-minded about it and try it out once. The masters of this planet just reached their point of wealth because they repeatedly tried out other things, different mindsets. And that's exactly what this book is about. I loved it. It was well organized and straight to the point. The exercises were very clear and easy. Wonderfully narrated guided journey to a positive attitude. For those like me trying to attract positivity, it starts with the attitude you project. I am always trying to maintain my positive attitude in a world that makes it a difficult task. I love the fact that I can skip the coffee and listen to this book for a quick energizing pick up instead. Now I'm able to tackle my work load with a better attitude. And that makes life easier for me and the coworkers who have to be around me all day. I requested this book in exchange for my honest review because I want a stress free life. I would recommend this book for that extra help in positive thinking. Gets you into a better mind set with help. The book basically aims to educate the readers on how to have a positive outlook on life. Every hardships are indeed everywhere regardless of what status you have in life it is literally how you "Look into the bright side" that makes every tackle in life much less heavy and becomes bearable. Being a positive thinker is a great motivation that keep you going no matter what you encounter in your everyday dealing in life and in work. Overall, This book was a great way to jump start the positive thinking process and also helping in many new ways with a lot of other things too. I highly recommend this book to other readers as well. This book is sincerely inspiring. I listened to it every morning first thing in the morning for almost a week. It was an excellent way to start the day and I REALLY enjoyed what I was doing! I definitely recommend this book to any and everybody. If you apply it's principles it has the power to transform your life for the better. Thank You Joshua for your five star book. A friend recommended this book to me bc I tended to have a very negative outlook on life. This book has been a game changer. It really has helped me put life into perspective and realize just how much I was sabotaging my life with these negative thoughts and predictions. It also helped me to think differently and provided with me different strategies to keep a positive frame of mind. This book is priceless!! After renting it several times from the library I knew that I had to have my own to be able to refer to when I needed it. Norman Vincent Peale had helped me to understand just how miserable I was making myself with my negativity. Thinking more positively allows you to put more of an effort into your work be you actually "think" you can do it. As opposed to automatically shooting yourself down like I used to. I was so skeptical of this book in the beginning but it is now indispensable and I wish I read it sooner!! You WON'T be disappointed. aid have to say that this has become my all time favorite book. I can’t really describe this book...I guess the best thing I could say is that it’s made me realize that I do have HOPE. There is hope, no matter what you’re going through in life. There is hope. This book will help you believe in that hope . It will tell you exactly how to accomplish your dreams, overcome your fear and worry, get closer to God, how to pray, how to become positive and no longer negative. It will explain how to help promote your own healing with God, faith and guidance of modern medical science. I just can’t say enough about this book. I’m so very very very thankful to God that I’ve had the opportunity to read this. And I’m going to reread it as many times as necessary to apply these principles to my life. A powerful, inspiring, and healing book!! It is so full of useful information. I am always trying to grow and better myself and this book definitely helped me with that goal. I felt energized, supported, hopeful, and excited as I read through each page because the author has so many positive tips and tools on becoming a more successful and giving person. It's a great self motivational book, I really enjoyed listening to it. Easily one of the best positive-toned self-help books I've ever listen! Not only did I feel like I was reading multiple books as there is plenty of spiritual inspiration and some actual tips that helped me appreciate life considerably but it also trained my mind to teach myself how to use positive thinking to overcome difficulties. I feel so independent now thanks to everything I've learned here.